People often ask me, “What can I use to polish my silver jewelry?” I am surprised by how frequently this happens because the obvious answer is, “Silver polish.” It can be found in most hardware stores. It is not hard to find. It’s not very expensive. Nor is it hard to use. But, for some reason, people want to know… WHAT ELSE…. polishes silver?…. besides the stuff MADE for polishing silver… Because folks love finding clever solutions to the little snags we come across in life. So, I’ve compiled a mini list of life hacks that solve, in clever and ingenious ways, the frequent problem of tarnished silver. 1. 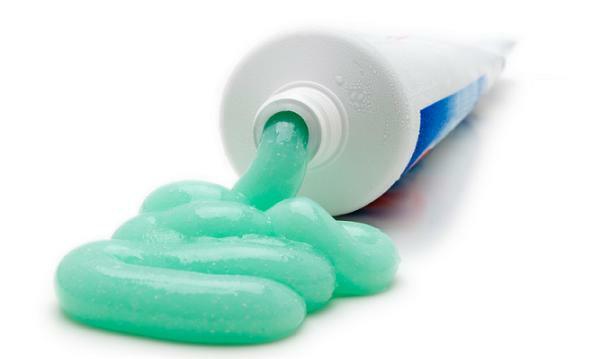 Toothpaste. People love this. I don’t know why. Maybe because, not only will your silver be shiny, it will also be minty fresh? Anyway, all you need to do is rub the toothpaste on, like saddle soap, taking care to avoid any set stones since it may scratch them. Then rinse it off under warm water and dry with a towel. Any kind of toothpaste will work, but I have found that tartar control toothpaste works best since it contains more abrasive silica. With this is mind, I recommend this method, and the following method, for sterling silver, not silver-plated items. Rubbing abrasives into silver-plate may wear away the finish entirely, exposing the base metal. 2. 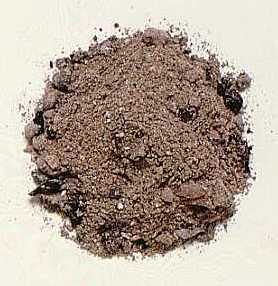 Wood ash. This solution assumes you have a wood stove or fireplace. Did you know that a cord of firewood can produce about fifty pounds of ashes? In addition to de-skunking pets, melting ice, and enriching the soil in your tomato garden, wood ash can be used to polish silver. A paste of ash and water makes a quick non-toxic metal polisher. Apply and remove in the same way as toothpaste. 3. Aluminum foil and baking soda. Two more household items you probably have around your home. I would hesitate to use this method for jewelry set with gemstones, since it requires the use of boiling water. Extreme heat can damage some stones. However, it works great for heavily tarnished, solid silver and silver-plated pieces. First, boil some water. Place a piece of aluminum foil on the bottom of a non-metal container, like a Pyrex mixing bowl. Place your jewelry on top and pour on the heated water, immersing the jewelry. Shake some baking soda into the bowl. It will foam and bubble… and smell like rotten eggs. Almost magically, the chemical reaction will cause the tarnish to be attracted to the foil instead of your silver. The important part is to be sure the silver is touching the aluminum. Sprinkle a little more baking soda as needed until your silver is shiny and the liquid no longer foams and bubbles. Remove and rinse the jewelry with a little warm water and a soft cloth. As a cautionary note, I would use these methods occasionally. Not EVERY time. 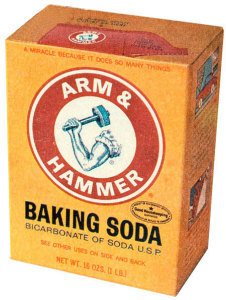 Abrasives scratch and baking soda, if used repeatedly, could pit your silver.